KAMPALA – The embattled former Executive Director in charge of Supervision at Bank of Uganda, Justine Bagyenda, has finally been dropped as Board Member of Financial Intelligence Authority (FIA). Ms Bagyenda, who left employment at the central bank under a cloud, following the controversial closure of Crane Bank Ltd, has been replaced by Mr Titus Wasswa Mulindwa, a lawyer former working at BoU. Mr Mulindwa was on Monday, March 04 successfully vetted and approved by Parliament’s Appointments Committee chaired by Speaker Rebecca Kadaga, with the new FIA members set to swear-in Tuesday next week. He completes the FIA Board which include former Central Bank Governor Leo Kibirango (Chairman), Deputy Secretary to the Treasury, Mr Patrick Ocailap, Police CID Director Grace Akullo, Ms Patricia Mutesi from Attorney General’s Chambers and Mr Sydney Asubo, the FIA Executive Director. The board will serve a final three-year term. 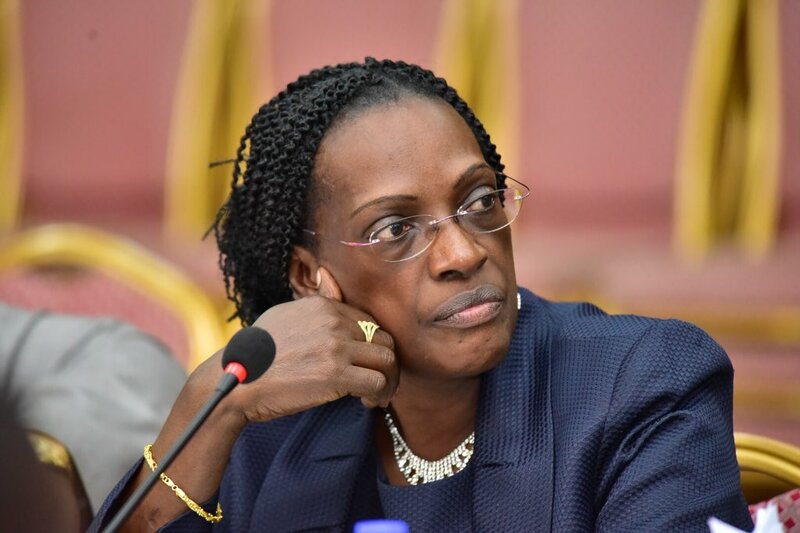 Ms Bagyenda, whose re-appointment to the FIA Board in May 2018 by Finance Minister Matia Kasaija caused an uproar among some MPs on the Appointments Committee, had in February 2018 been sacked as director for supervision at Bank of Uganda (BoU) in the Crane Bank closure fall-out. She would later skip parliamentary vetting in November 2018 as MPs bayed for her blood. The embattled former BoU strongwoman would later be embroiled in the controversies surrounding the closure of 7 defunct commercial banks, as the Parliamentary Committee on Commissions, Statutory Authorities and State Enterprises (COSASE) investigated the closures. The committee has since produced a report that has made groundbreaking recommendations against Bank of Uganda and individuals named in what the MPs termed as “unlawful” closure of especially three banks, including Crane Bank Ltd. The MPs also faulted Bank of Uganda for negligently disposing of the defunct banks and breaking several provisions of the Financial Institutions Act (2004).